WMCS Technology supports Sports Electroceuticals. Invented in Denmark by John Wetling, is Patent protected and CE certified. WMCS provides unique wireless delivery of micro-currents. An innovation for which medical trials have been successfully carried out in leading medical institutions and scholarly articles have been published in high impact factor journals. 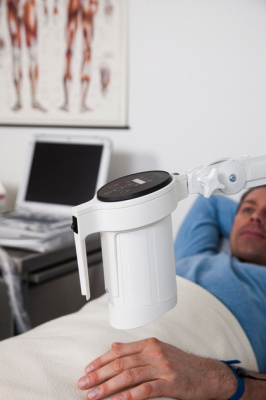 WMCS technology provides sports people with non-invasive painless treatment of sports injuries. WMCS reduces the risk of injury in sport and minimises infection risk. WMCS can have a high impact on the most prevalent sports afflictions and can prove to be beneficial to very wide range of sport injuries. Sports Electroceuticals is one of the eight finalists during the Hype Foundation competition to be held just after the Olympic Games, in Rio. 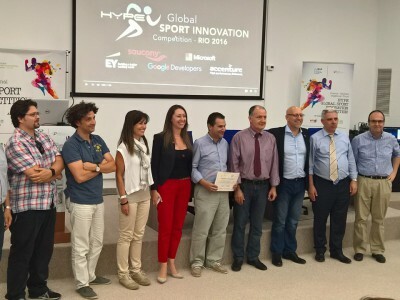 The Regional awarding ceremony for “Hype Global Sport Innovation Competition” was successfully completed in Patras on the 24th of June 2016. Nine finalists from Greece, Croatia, Turkey and Bulgaria (Athlenda, Core interface, Enigma Biotech, Ergon Sense Pro, Gym Detector, Happyfiit, Sports Electroceutical, Systserv, Windyweek) participated and presented their innovative ideas to the public and the Jury panel. The winner was Sports Electroceuticals, with Core Interface being second and Athlenda third. The event was attended by Irit Ben-Abba, Ambassadress of Israel in Greece, Costas Fotakis, Alternate Minister for Research and Innovation and more than 200 guests. The winner will participate in the finals in Rio de Janeiro.